The Isle of Skye 'the Misty Isle' is one of the most beautiful places in Europe, constantly at the top of favourite places to visit. Just 65 miles from north to south, you are never more than 5 miles from the sea which has shaped the island in so many ways. The scenery is simply stunning, matched by its history and culture, on the edge of Scotland's west coast. Add to that amazing wildlife, beautiful sunsets, fabulous food and drink you have a holiday destination with so much to see and do. Whether you stay with us for a week or two, or even a little longer, you can do as much as little as you want, but return each day to your romantic hideaway by the shore. We'd like to share a few ideas for what to do whilst you're here. Click on the sub-pages to get a taste of the Highlands. 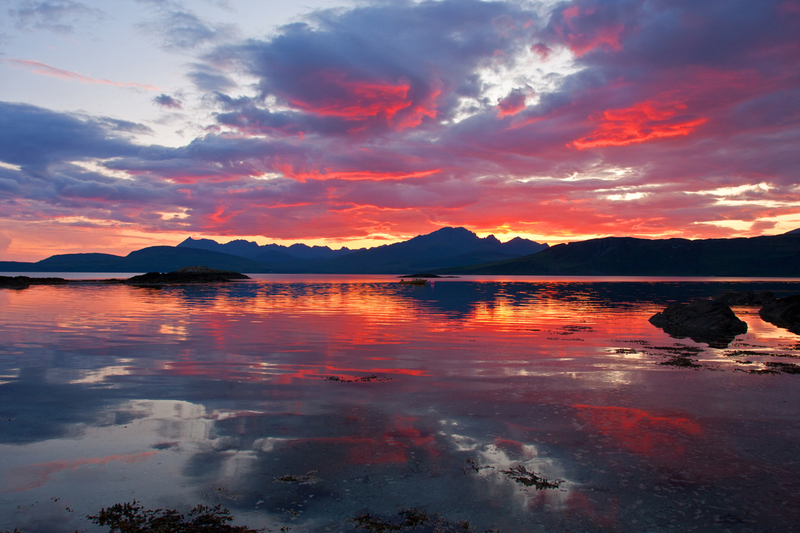 You would be never short of things to see and do in the Highlands and at the Hideaway you are never far from so much. These are just a few suggestions for your visit, this is just a taste, and take home memories of a lifetime.